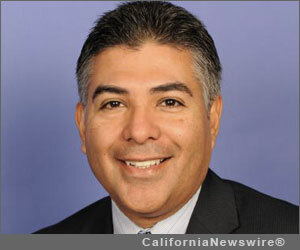 SAN FERNANDO, Calif. /California Newswire/ — U.S. Rep. Tony Cárdenas (D-San Fernando Valley) will join U.S. Rep. Luis Gutiérrez (D-Chicago), this Saturday, to help immigrants and their families in the Valley learn if they are eligible for the changes in U.S. immigration policy created by President Obama. While a lawsuit has temporarily suspended implementation of the executive actions announced by President Obama in November, both Reps. Cárdenas and Gutiérrez are confident that the courts will rule in favor of the President’s actions and want future applicants to use this time to prepare for their documents. An expanded pool of immigrants who arrived in the U.S. as children may qualify to apply for expanded Deferred Action for Childhood Arrivals (DACA), while the larger program, for qualifying parents of U.S. citizens and Legal Permanent Residents (DAPA), will begin accepting applications in May at the earliest. The workshop will explain who is eligible, what documents are likely to be required, and provide “family defenders,” who will help facilitate the application process for undocumented workers who attend. Gutiérrez has been leading a national tour to educate immigrants and allies about what the President announced in November, how applicants can prepare, and how everyone else can help make the initiative a success. The San Fernando Valley is the latest tour stop on a calendar that has taken him from coast to coast. WHEN: Saturday, March 21 at 1:00 p.m.